There is something about the city of Ramla that enchants visitors: its warm hospitality, its mix of tourist attractions, its vivacious markets, or perhaps its diverse population. Today it is home to some 76,000 residents, including Jewish immigrants from over 55 countries, Moslems, Christians, and Karaites. The multicultural mix is particularly evident in Ramla’s market and restaurants, where a huge variety of ethnic delicacies can be found, from Tunisian sandwiches to savory Indian drinks to pickled vegetables in a rainbow of colors. In between the stalls of fresh produce, baked goods, snacks, spices, and sweets are small shops carrying clothing, shoes, housewares, and more. 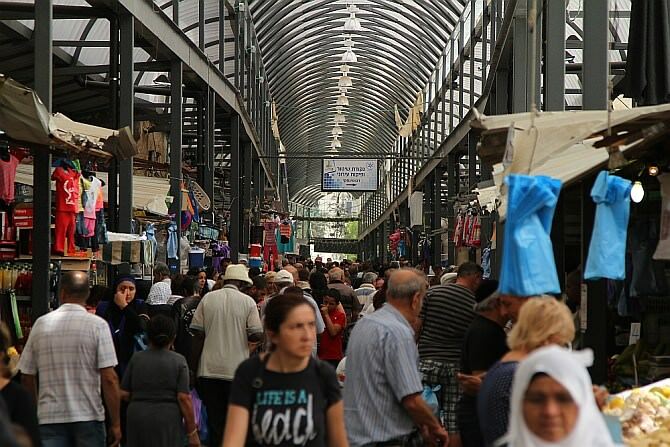 On Wednesdays, the weekly wandering market arrives in Ramla. The merchants set up shop adjacent to the regular market and the rows of temporary stalls laden with new and used clothing, antiques, and other surprises seems to go on and on.Another way to explore the city’s multiculturalism is to tour its religious sites. The Great Mosque (Jami al-Umari) is in the middle of the market. It was originally built by the Crusaders to serve as a cathedral and was later converted into a mosque. 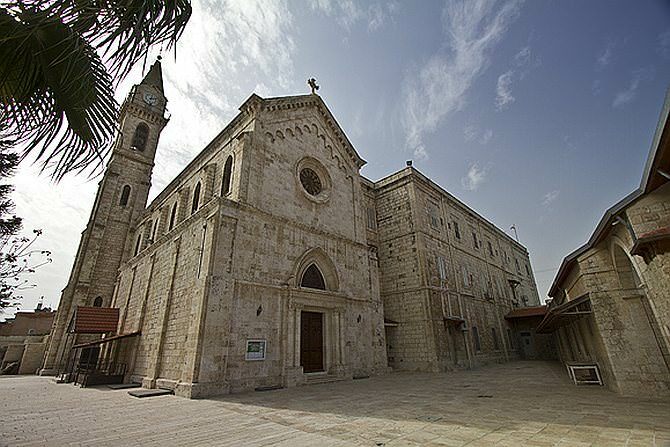 One of the largest Crusader churches built in the Land of Israel, it is a magnificent building. Its apse points eastward, like the apses in most churches, while its mihrab faces Mecca, as is traditional in mosques. 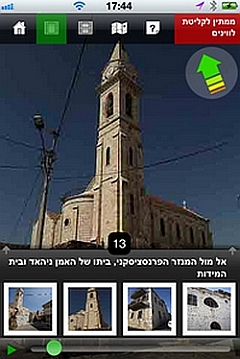 There also are four churches in Ramla, each serving a different religious community. The large Greek Orthodox community prays at the picturesque Saint George monastery, on Kehilat Detroit Street near some of Ramla’s most popular restaurants. The icons and murals that adorn the church in the monastery compound are a feast for the eyes. The nearby Franciscan monastery also has its share of treasures, the most noteworthy of which is an original painting by one of the most famous Italian renaissance artists, Titian’s The Descent from the Cross. It is surrounded by sculptures and stained glass, Napoleon is said to have spent a night at the monastery during his attempt to conquer the holy land in 1799. The city also boasts an Anglican church built in the nineteenth century and an Armenian church. Ramla also is home to the main synagogue of the world’s 50,000 Karaites, whose religious practices are similar but not identical to those of Jews. 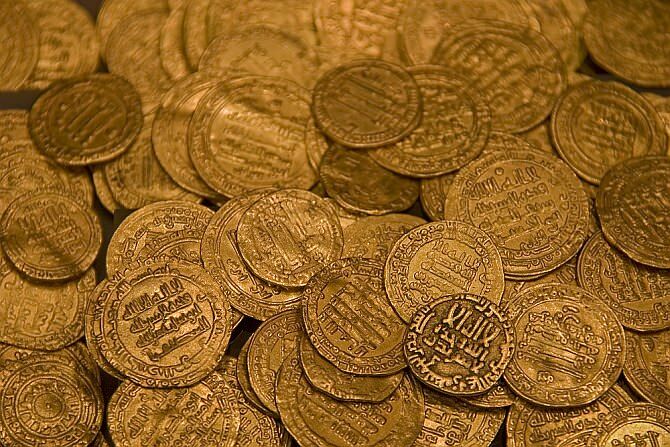 A visit to the site includes an explanation and presentation about the Karaites in general as well as stories about the Karaites who lived in Ramle some 1,000 years ago and returned to the city in 1948, after the State of Israel was created. 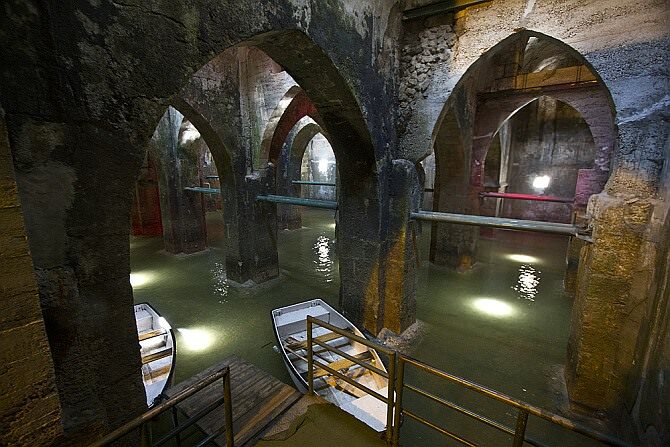 Finally, a visit to Ramla is not complete without visiting the Pool of the Arches, the huge reservoir built in 789 CE, that visitors can explore by rowboat or hear a concert in, climbing to the top of the White Tower from the fourteenth century to take in the view of the modern towers of Tel Aviv, finding Harry Potter’s grave in the British Military Cemetery, and touring the Ramla Museum, whose detailed displays tell the story of this fascinating city in which people from such a wealth of backgrounds live side.